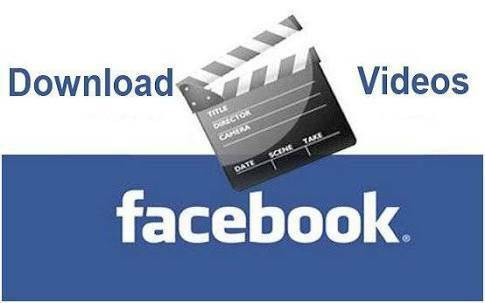 Want to download Facebook Videos on Pc? If yes then you are definitely in the right spot. Facebook is by far the biggest social networking/messaging sites in the world. It has more than 2 billion users worldwide which are practically about 20% of the world’s population. One in every five people indefinitely on Facebook going by these statistics. They only people that aren’t on Facebook, or don’t know anyone on Facebook is people probably living under a rock. Facebook places to interact with old and existing friends and also meet new ones. Asides that, Facebook is also used by businesses to reach their wide range of Customers and probably meet new and potential customers. The use of Facebook differs with every individual and people visit Facebook for different reasons. I for one visit Facebook mainly to keep up with the numerous funny pages I’ve liked and followed. These pages upload short videos/skits that I find quite funny. So whenever I want to watch those videos again I’ll always have to log on to Facebook which isn’t idle for me; what if there is no network at the moment? What if I Don’t have an active internet connection or not connected to a WiFi network at the moment? Well, We’ve written an article on how to download Facebook videos on Android and also How to download Facebook videos on iPhone and iPad. Now we will be focusing on how to download Facebook videos on PC. First, you have to make sure you have the latest Chrome Browser Installed On Your PC. If you don’t, then you need to update. Launch Your Chrome Browser and Head to the Chrome Web Store. Search for the Facebook Video Downloader Extension and Click on It. Alternatively, You can Click on the Facebook Video Downloader Link to take you straight to the extension on the Chrome Web Store. You will a notification Asking if you really want to add. Click on Add to add the extension to your Chrome browser. Once the plug-in is done downloading, you will now see a Facebook Icon at the top right side of the screen to show you that the plug-in is now installed and active. Now Go to Facebook, Log In and Locate the Video you would like to download. Play the video and when it starts playing Click on the Facebook Icon in your Chrome Browser. A small window will open asking you to choose a video quality; SD or HD. Also, you will need to choose where you want the video to be saved. Click on Ok to start the download. Once the video is downloaded, you can now watch the video at any time without an internet connection. To see the video, navigate to the folder you selected while Saving the video from Facebook. Note: Not all videos on the Facebook platform are available for download, if the video was locked by the owner/uploader then you can’t download the video. If the video is locked then you will see a locked sign near the video. however, if you see a Globe/World sign then the video can be downloaded. Using the methods above you can easily download Facebook videos on PC. Got any questions about downloading Facebook videos on PC? Leave a comment down below.